← Where did the time go? This entry was posted in musings, sewing, sewing space. Bookmark the permalink. 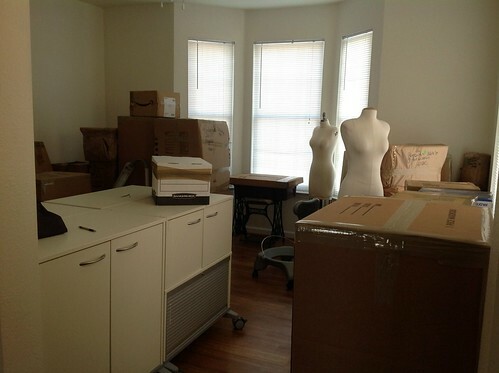 That is a gorgeous sewing room! So glad to see you back! And you unpack like I do, bedrooms, kitchen and then sewing room. Hopefully you will get to stay here for some time! Thank you, Carolyn! Supposedly three years, but we have our fingers crossed for four. 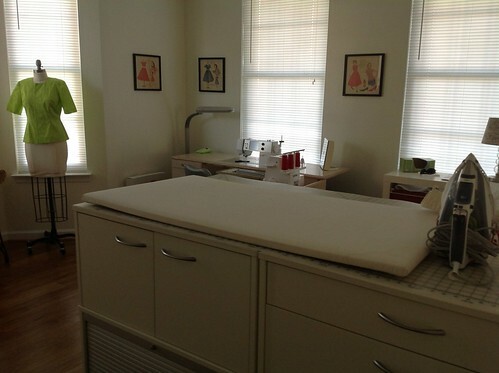 Wow – I love your sewing room! Maybe a future post can be about how you’ve furnished/equipped it (hint! hint!). Glad to see you’re back. Thank you for the compliment! The furniture is mostly from Ikea but I’ll be happy to give more details about it in an upcoming post. 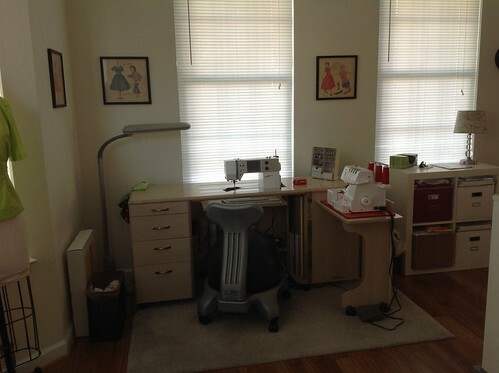 What a lovely sewing space! 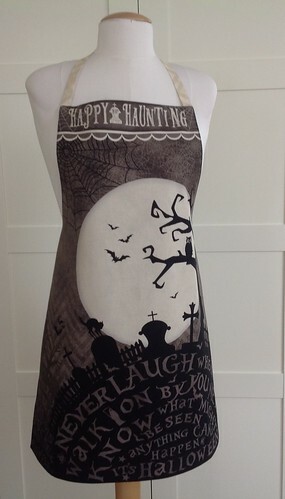 Cool apron too. Your space looks FABULOUS and – as you said – the light is wonderful. Glad you’re having fun in it. Thank you, Myrna! Yes, lots of fun.